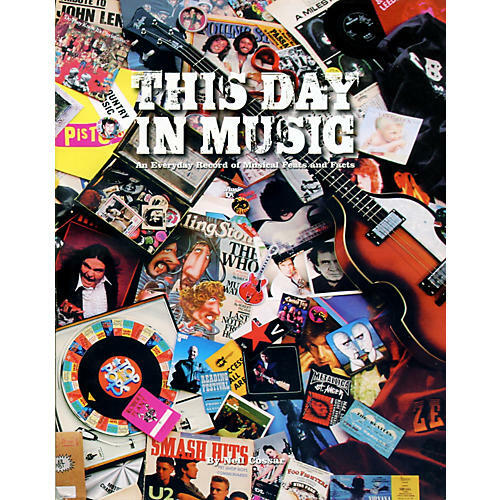 This Day in Music brings together all the significant events in the history of rock and pop music in one giant diary, documenting the facts, the figures, the dates, the times, the places and, most of all, the stars that made rock and pop the most vibrant art form of the 20th and 21st centuries. From New Year's Day to New Year's Eve, here is all the information you need to know, set out chronologically so you can look up those dates that interest you or simply pore through the year, month by month, day by day. Former musician, Neil Cossar, was the guitarist in the late '70s-'80s group The Cheaters, (who signed to Parlophone Records, but never troubled the charts). Continually gigging throughout 1982, they were awarded "Hardest working band of the year" by BBC Radio 1 after playing 321 gigs and recording an album! During the 90's Neil worked as a radio DJ in Manchester, England presenting a late night show which featured countless "new acts" in session including Radiohead, Blur, The Charlatans, Lenny Kravitz, PJ Harvey, The Cranberries and Tori Amos. This book was first published in book form in 2005 and is now available in this vastly improved and expanded edition.